The New York State Legislature has declared January “Carbon Monoxide Awareness Month” in an effort to raise awareness about the dangers posed by carbon monoxide in homes and buildings. Carbon monoxide poisonings increase by 10% during winter months with the increased use of home heating systems, the use of gasoline-powered generators during and after winter storms, and indoor use of space heaters. At any time of the year, however, carbon monoxide is referred to as “the silent killer” because it can’t be seen or smelled, but at high levels it can kill a person in minutes. Hundreds of people die accidentally every year from carbon monoxide poisoning caused by malfunctioning or improperly used fuel-burning appliances. Pregnant women, infants, the elderly, and people with anemia or with a history of heart or respiratory disease can be especially susceptible. 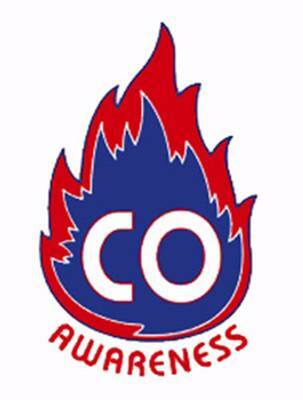 Carbon monoxide is produced whenever a fuel such as gas, oil, kerosene, wood, or charcoal is burned. If appliances that burn fuel are maintained and used properly, the amount of carbon monoxide produced is usually not hazardous. However, if appliances are not working properly or are used incorrectly, dangerous levels of carbon monoxide can result. The Centers for Disease Control and Prevention reports that non-fire-related carbon monoxide poisoning is responsible for approximately 15,000 emergency department visits, and nearly 500 deaths annually in the United States. Recognize and understand the symptoms of carbon monoxide poisoning. At moderate levels, you or your family can experience severe headaches, dizziness, mental confusion, nausea, or fainting. You can even die if these levels persist for a long time. Low levels can cause shortness of breath, mild nausea, and mild headaches, and may have longer-term effects on your health. Since many of these symptoms are similar to those of the flu, food poisoning, or other illnesses, you may not recognize that carbon monoxide poisoning could be the cause.